My friend Rich Caccapolo egged me into doing this. So, Rich this one's for you. I've spent the past couple weeks going back and reviewing all the music that I got into this decade. I looked at the last.fm data, my top ten posts each year, and re-listened to a lot of it. And here are ten records that define the decade for me, plus another 30ish that I considered for the top ten list. 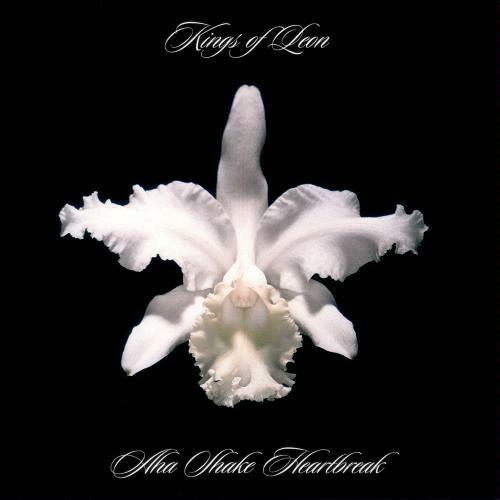 1) Aha Shake Heartbreak – Kings Of Leon: A friend of mine who has been in the music business for thirty years said to me recently that KOL is the only rock act that broke big this decade. And if that is true, they did it on the strength of their two most recent records. But it is Aha Shake Heartbreak that is their greatest effort and without question in my mind the best rock and roll record of this decade. I penned a piece on this record on Newcritics back in 2007 that explains why I love it so much. Go give that a read and then buy the record if you don't already own it. 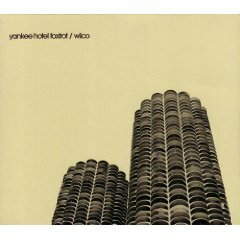 2) Yankee Hotel Foxtrot – Wilco: This record defines this decade for me. Let's start with how it was released. On the Internet because Wilco's label decided it wasn't good enough to put out. You all know that story. And the 9/11 references in songs written before 9/11. And the fact that Wilco is my generation's rock act. I can listen to this record anytime, anywhere. I can sing every word. And some songs still make me tear up or give me chills. 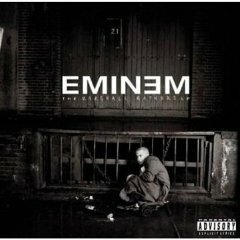 3) Marshall Mathers LP – Eminem: At the end of the decade, it's easy to forget about how big Eminem was. His first three records were on all the time in our house. And this record was the biggest of them. The lyrics on this record are jarring and raw. The samples are creative. The record flows perfectly through the deranged mind of one of the greatest rappers of all time at the top of his game. I went back and listened to this record recently and it has not lost one ounce of its intensity and entertainment value. 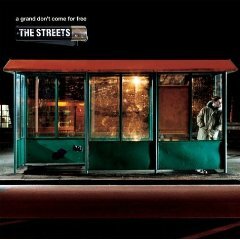 4) A Grand Don't Come For Free – The Streets: I vividly remember the first time I heard this record. I was on the train out to the east end of long island. It was so packed there weren't any seats. So I sat in a stairwell and put on my iPod headphones and hit play. Roughly an hour later, it was like I was leaving a thoroughly engrossing movie. This is a "concept record", a story about a day in the life of rapper Mike Skinner that starts with him losing a bunch of money and trying to get it back. The songs are great, the imagery vivid, and it makes for one of the most original and best records of the decade. 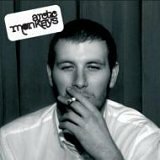 5) Whatever People Say I Am, That's What I Am Not, Arctic Monkeys: If Wilco showed you could break a record on the Internet, the Arctic Monkeys showed you could break a band on it. And they did it with the songs that eventually came to be this record. For the better part of a year, these songs were available on MySpace, the music blogs, pretty much all over the web. And even so, when the record came out in January 2006, it became the fastest selling debut record in the UK. The Arctic Monkeys signature sound is blazing dual guitars and Alex Turner's blistering and acerbic lyrics. And as good as their subsequent records have been, it is still best experienced on this one. 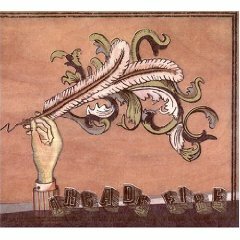 6) Funeral – Arcade Fire: This decade brought us a few breakout rock bands and certainly one of them is the Arcade Fire. They've only put out two records in five years and both of them are fantastic. But their debut record, Funeral, is a masterpiece. It builds slowly, beautifully, to the epic Rebellion (Lies) and then ends hauntingly In The Backseat. I love how the vocals interact with all the different instruments being played. The result is, as one Amazon reviewer put it so well "wild, mad, and beautiful". 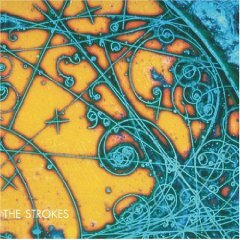 7) Is This It – The Strokes: You may wonder how I can put Kings Of Leon first and Arctic Monkeys fifth if neither would have happened without this band and this record. I don't have a good answer for that question. The Strokes took the signature NYC punk rock sound from the Ramones and the Velvets and upgraded it to the next millennium and that sound became the defining rock style of this decade. This record, the third debut record in a row on this list, showcases The Strokes at their best, young, cocky, full of talent and ambition, and showing the world how NYC rocks. 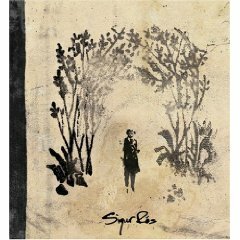 8) Takk.. – Sigur Ros: Some call this kind of music "post rock". I call it hauntingly beautiful. Some bands and records come and go and others stay with me. This one stays with me. I listen to it regularly, often when I want to write something important and need some inspiration. Although there are eleven songs on Takk.., I don't think of them as such. I can't imagine listening to this record any other way than start to finish. One of my great music regrets of this decade is not seeing the full blown Sigur Ros live show. I've heard it's mind blowingly spectacular and I can imagine why. 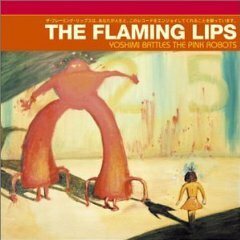 9) Yoshimi Battles The Pink Robots – The Flaming Lips: I love The Flaming Lips and I love this record. Nominally about a girl's fight against robots, it's actually about life, love, and death. Heavy topics for sure, but Wayne's goofy optimism pulls it off in classic Flaming Lips fashion. Like Wilco, the Lips made two classic records, one in the 90s (Soft Bulletin) and one in this decade. Yoshimi is a psychedelic pop at its best. 10) The Blueprint – Jay-Z: I love the cover of this record. Jay-Z smoking a cigar and taking claim to "moguldom". No top ten list of the decade would be right without Jay-Z on it. He is the king of hip-hop, and hip-hop is the music of the moment. I debated between The Blueprint, The Black Album, and Reasonable Doubt, and eventually decided The Blueprint best represents all that Jay-Z means to the music industry, hip-hop, and NYC. He is the next Sinatra. In no particular order, here are roughly thirty other records that I considered for this list and all of them are excellent and worthy of picking up. You'll note that in the case of some artists, I have listed multiple records. I have not linked to them, but if I find some time later today, I'll try to do that.